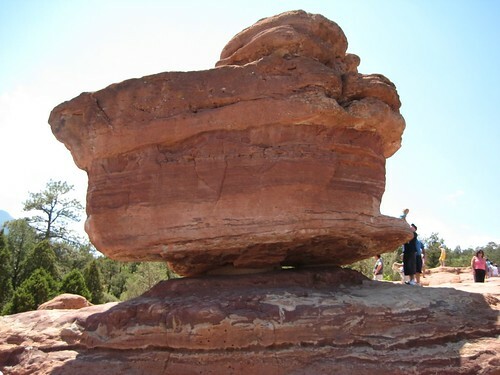 This amazingly balanced rock is located in the "Garden of the Gods" public park in Colorado Springs, Colorado. Being easily accessible it is a popular tourist spot. 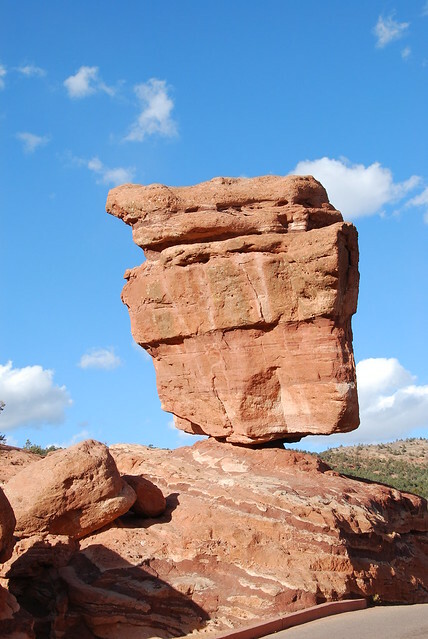 Balanced rock as seen from the other side. 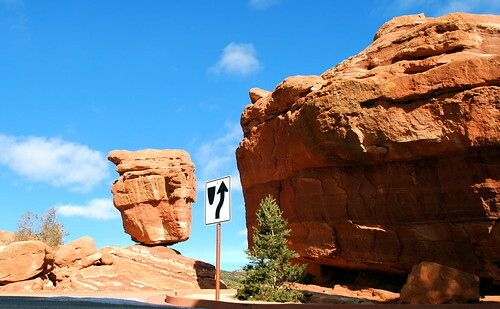 The rock on the left is called "Steamboat Rock" because of its shape which resembles a ship.